We serve through outreach, gifts, and gospel. Some of the God's precious creation are suffering from lack of food, education, and spiritual support. Find out how you can help. All your donations are used to support Coptic Christian families in need; all our servants are volunteers, we have no full-time employees! Find out about our organization and how it was founded. Fr. 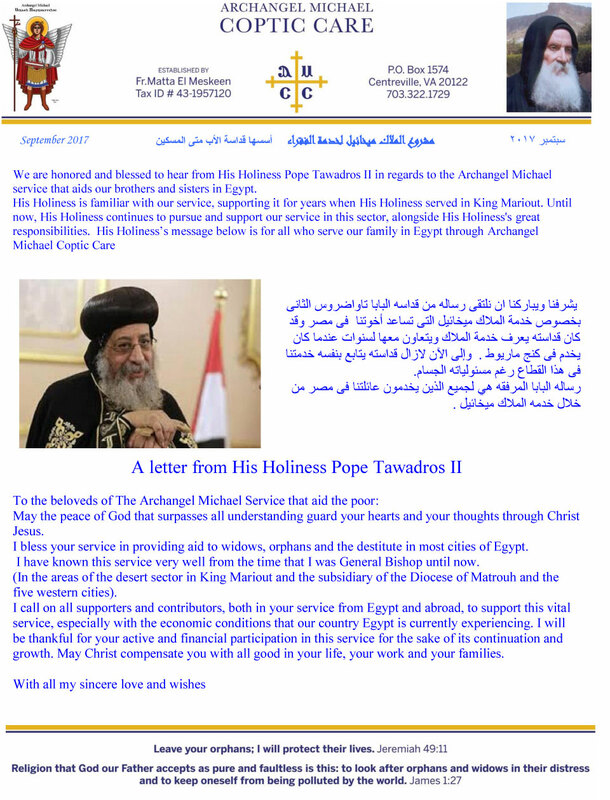 Matthew the Poor requested a meeting with Ms. Hoda Nessim in 2000 to discuss what The Lord wanted him to do in his last days on earth few years before he departed. In this video Ms. Nessim shares some details on the early days of how the service was founded and started to grow. Mission, our methods, and the results of our decades of service.